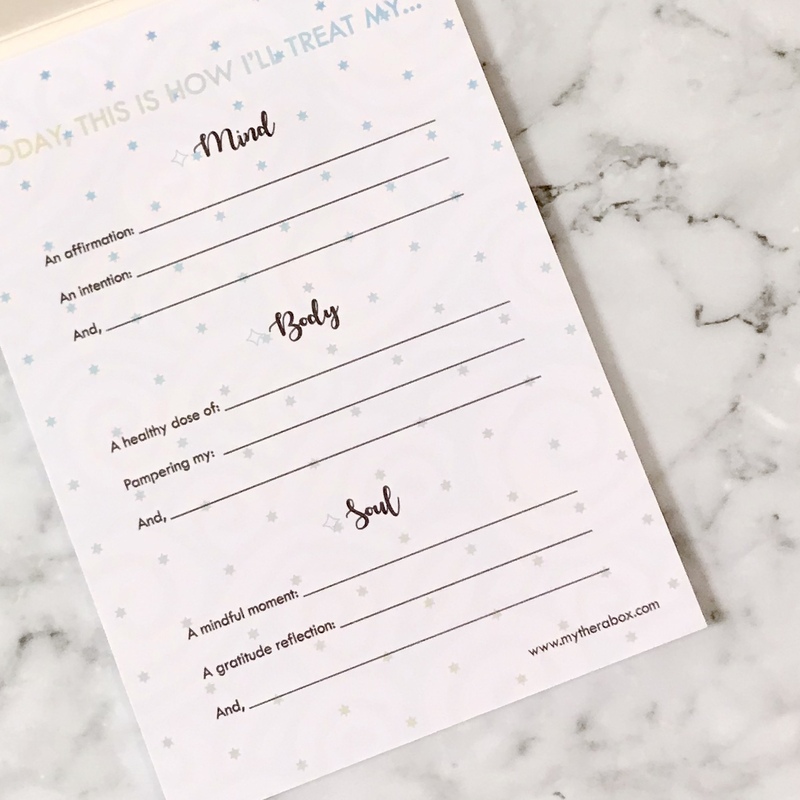 This handy little #TreatYoself sticky notepad takes you through processes to practice regular self care for your mind, body and spirit! 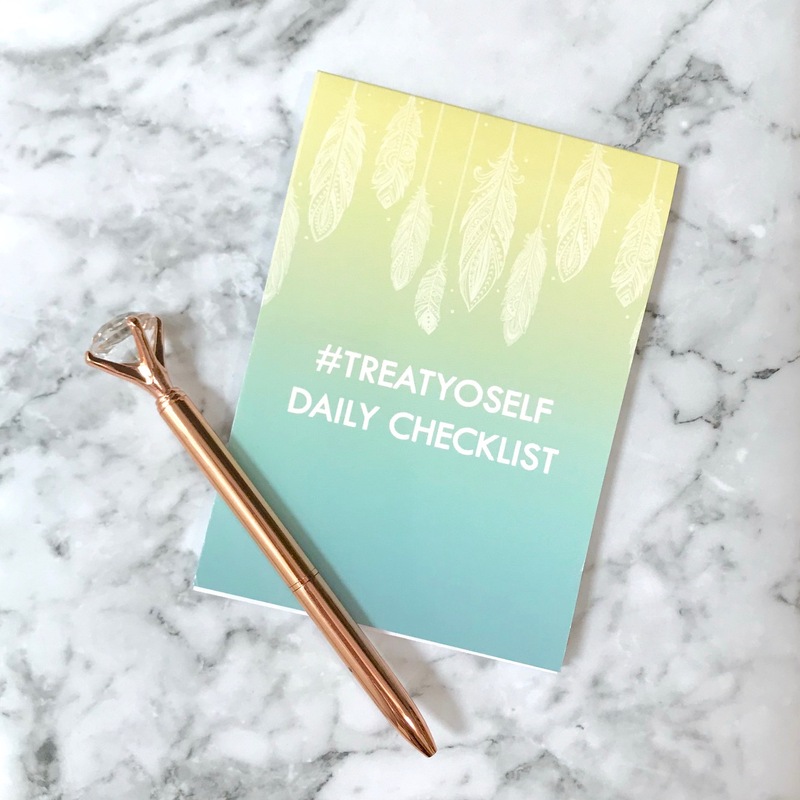 We have endless to-do’s on our list each day, but too often self-care & treating ourselves doesn’t make that list! Fear not, because our mission at TheraBox is to remind you to #TreatYoself each & every day so you never lose sight of balance! Grab a note & fill in the prompts. Stick this loving reminder on your fridge, desk, laptop or anywhere visible so you can be reminded to take care of you! Our best self is present only when our mind, body + soul is rested & recharged. Spend at least 5 - 15 mins a day to take care of your wonderful self!